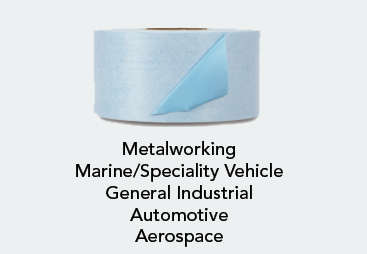 Our 3M™ Tape Sheets 3750P are pre-cut for convenient carrying and dispenser-less taping. Each 25 sheetlayered€pad€has a removable paper tab and is designed for in-field repair of damaged packaged goods. These sheets can also be used for protecting labels, sealing envelopes and small packages, recouperage repair and other packaging applications. Our 3Mâ„¢ Tape Sheets 3750P are pre-cut for convenient carrying and dispenser-less taping. Each 25 sheetlayeredÃ¢â€šÂ¬padÃ¢â€šÂ¬has a removable paper tab and is designed for in-field repair of damaged packaged goods. These sheets can also be used for protecting labels, sealing envelopes and small packages, recouperage repair and other packaging applications. No Dispenser? No Problem! 3M Tape Sheets 3750P have a durable polypropylene backing that is strong, conformable and shock resistant. The pressure sensitive hot melt rubber resin adhesive is formulated to provide good adhesion to a wide variety of surfaces including bags, boxes, plastic film, powder coats, metals and glass. 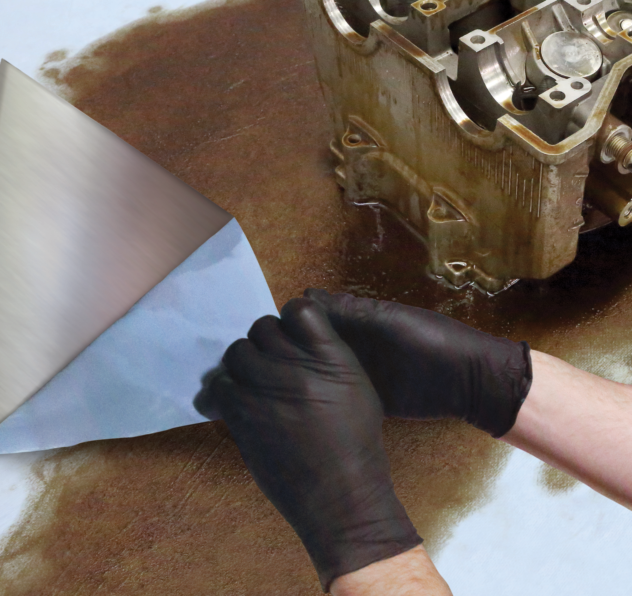 For easy one hand application, simply peel away the back sheet and place the pad on a vertical or horizontal surface. 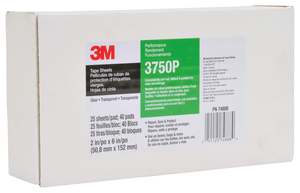 Portable and Lightweight for Convenient Use With unlimited peel and stick convenience, 3Mâ„¢ Tape Sheets 3750P are perfect for convenient, in-field repairing, patching and mending, avoiding costly returns and product re-work due to damage somewhere in the supply chain, from plant to retail store. Recommended Applications In-field repair Package patching Shrink wrap mending Shipping label protection Protect against weather damage Bringing Better Ideas to the Surface through Science and Innovation In our 3M Industrial Adhesives and Tapes Division, we apply the science of adhesion to deliver innovative solutions that improve the design and manufacturing processes of companies around the world. In the end, our technologies help customers like you deliver competitive products to the market faster and more efficiently.